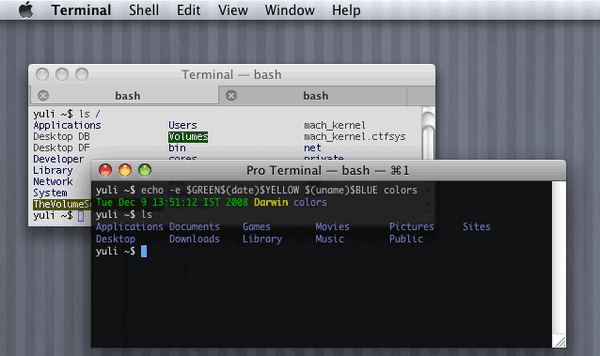 The Terminal is a program included with all versions of Mac OS X. To launch terminal goto Applications and click Utilities folder. Terminal is originated in Mac OS X’s predecessors, NeXTSTEP and OPENSTEP, and allows the user to interact with the computer through a command line interface. By default it provides a bash shell. chflags - Change a file or folder’s flags. enable – Stop or start printers and classes. rcp – Copy files between machines. sched – Schedule a command to run at a later time.